Health benefits Beneficial for colds, measles, rheumatic joints, lung complaints, throat problems, prevent skin chafing and windburn. 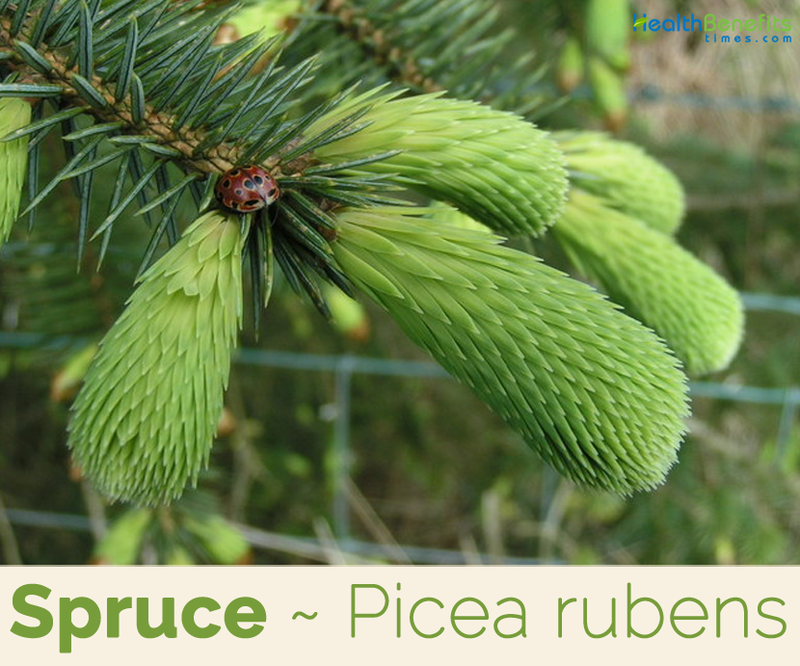 Picea Rubens commonly known as Spruce is an evergreen conifers tree of the genus Picea and in the family Pinaceae. 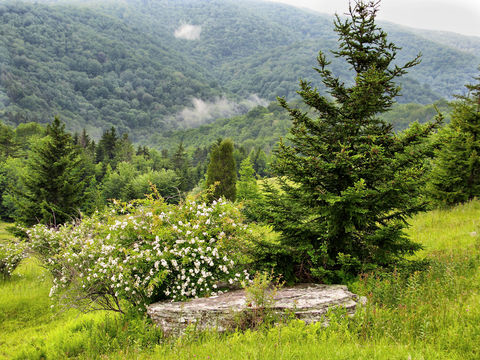 The plant is native to eastern North America, ranging from eastern Quebec to Nova Scotia, and from New England south in the Adirondack Mountains and Appalachians to western North Carolina. 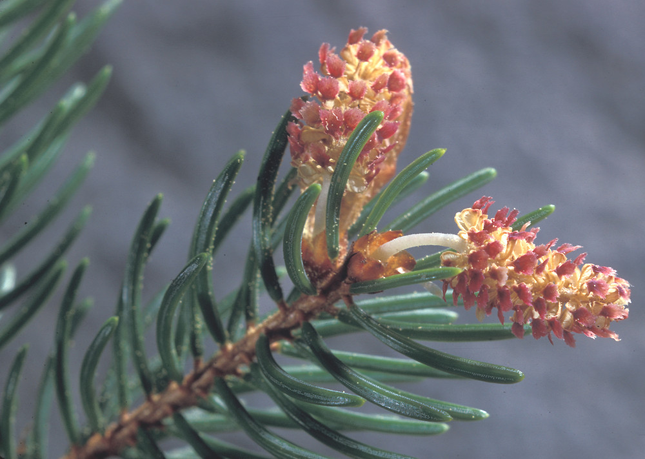 Few of the popular common names of the plant are yellow spruce, West Virginia spruce, eastern spruce, he-balsam, red spruce and blue spruce. Genus name is reportedly derived from the Latin word pix meaning pitch in reference to the sticky resin typically found in spruce bark. Specific epithet both are in reference to the fact that mature needles of this tree become glaucous (acquire a waxy white bloom) with age. Spruce is long-lived, often achieving ages greater than 350 years. 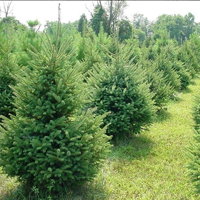 Spruce is a perennial, shade-tolerant, late successional, coniferous tree that grows about 18–40 meters (59–131 ft.) tall with a trunk diameter of about 60 centimeters (24 in), though exceptional specimens can reach 46 m (151 ft.) tall and 30 cm (12 in) diameter. The plant is found growing in moist but well-drained sandy loam, often at high altitudes. The tree is upright and straight, with a narrow crown. Root system has a minimum depth of 13 inches (33 centimeters). Twigs are orangish brown, finely hairy (may need a hand lens); as with all spruces, needleless twigs covered by short sterigmata (short pegs). Buds are orange-brown, small with loose scales, with a densely pubescent to glabrous texture. Barks are grayish brown on surface, more reddish brown beneath with irregular, fine flaky patches, thin, and scaly. Woods are light, soft, have narrow rings, and have a slight red tinge. Leaves are needle-like, yellow-green, 12–15 millimeters (0.47–0.59 in) long, four-sided, curved, with a sharp point, and extend from all sides of the twig. Needles are pungently aromatic when crushed. Foliar buds are reddish brown in color, measuring 0.2 to 0.32 inch (5 – 8 mm), with an acute apex. Species is monoecious; males are cylindrical reddish but turning yellow-brown; females are purplish green. Flowers are followed by chestnut brown ovoid cone, 1 to 1 1/2 inches long, cone scale margins entire. 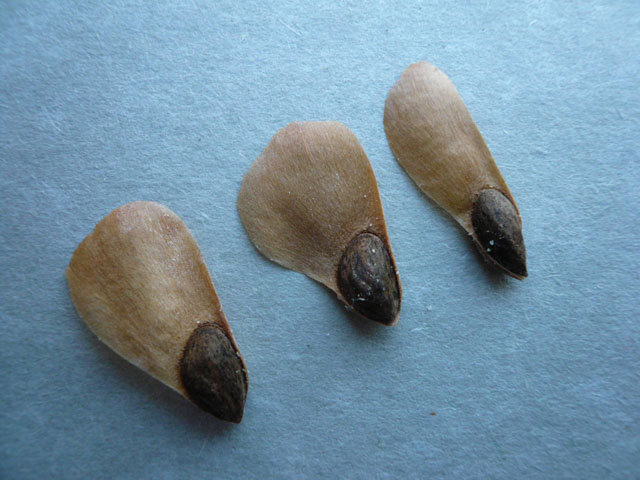 Seed is dispersed in the fall and cones tend to drop their first winter. 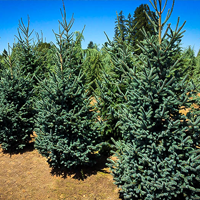 Black Spruce is an extremely hardy evergreen tree with a very narrow growth habit and bluish-green foliage. The plant tolerates wet sites. 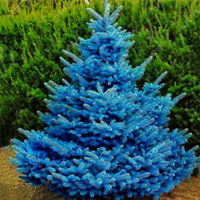 Colorado Spruce is often present in landscapes in the form of one of its cultivars with bluish foliage. The tree does not deserve its popularity. It becomes a very tall, blue tower, decorated with galls at the branch tips as canker diseases disfigure the tree at an early age. The tree should be enjoyed while young but should not be considered permanent. 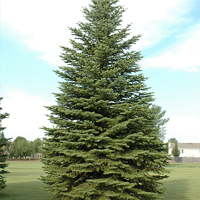 The needle-like evergreen foliage of the Colorado blue spruce has a very stiff appearance. Its foliage color varies from blue-green to silver. Suggested uses for this plant include windbreak, screen, border, and specimen plant. The plant has short, needle-like, evergreen foliage that is dark green. Pendulous cones are 4 to 6 inches long, but do not occur consistently from year-to-year. Suggested uses for this plant include windbreak, screen, border, and specimen plant. 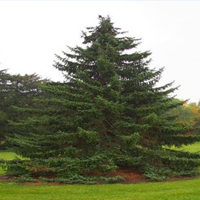 Serbian Spruce forms a narrow, pyramidal silhouette with graceful arching branches. The upper surface of the needles is glossy, dark green in contrast to the whitish lower surface. 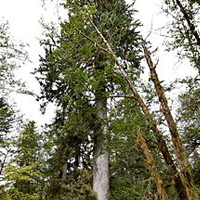 Native to northwest North America, the Sitka Spruce is the largest of the spruce family. It is said to have a lifespan of over 500 years. 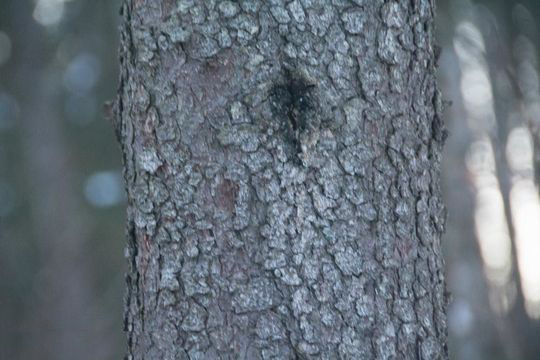 Its needles are very sharp and stiff and it has particularly long branches growing from well down on the trunk. 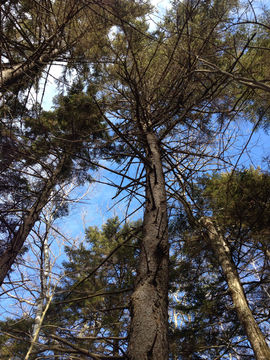 Branches have a pronounced upward sweep at the end. 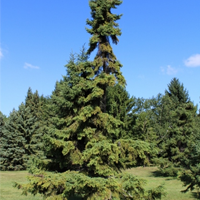 White Spruce is a densely, pyramidal spire with bluish-green needles. The tree is widely used for its site adaptability. 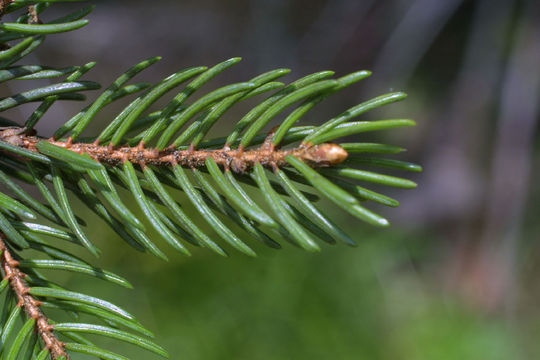 Spruce needles and resins are useful in medicinal teas and salves. Tea made from the boughs has been used in the treatment of colds and to ‘break out’ measles. The pitch from the trunk has been used as a poultice on rheumatic joints, the chest and the stomach in order to relieve congestion and pain. Decoction of the bark has been used in the treatment of lung complaints and throat problems. Needles rich in vitamin C and are used in an aromatic steam inhalation, they can clear stuffy sinus congestion from winter colds. Spruce resin is a useful first aid remedy to use in the field to cover scrapes and cuts. Resin is used to cover canker sores in the mouth. 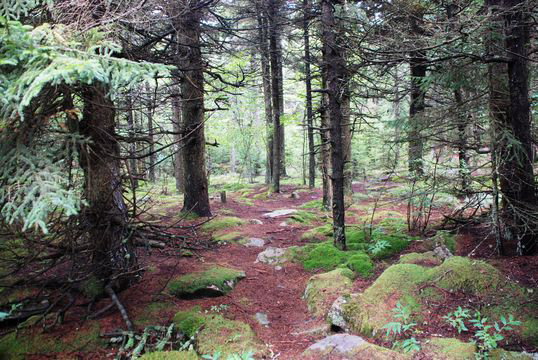 Spruce salve is helpful to prevent skin chafing and windburn. 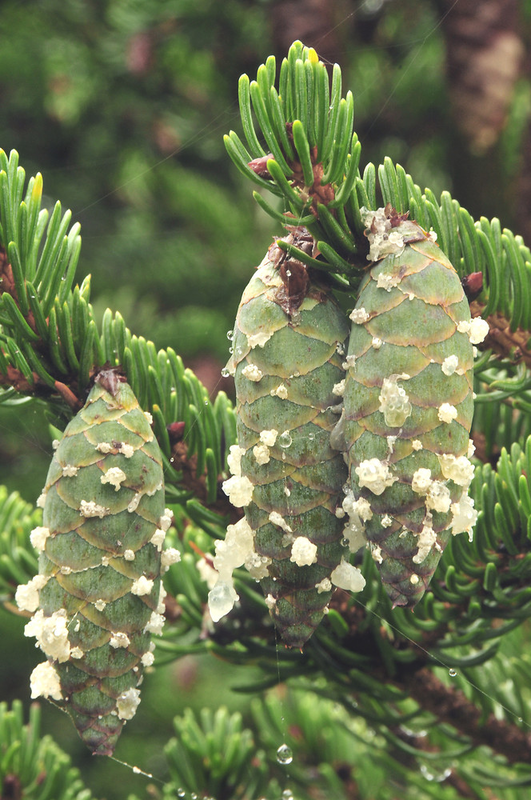 Spruce resin contains aromatic oils that are helpful in healing wounds. Leafy red spruce twigs are boiled as a part of making spruce beer. It can also be made into spruce pudding. Young shoots are an emergency food, used when all else fails. Young male catkins are consumed raw or cooked. It is used as a flavoring. 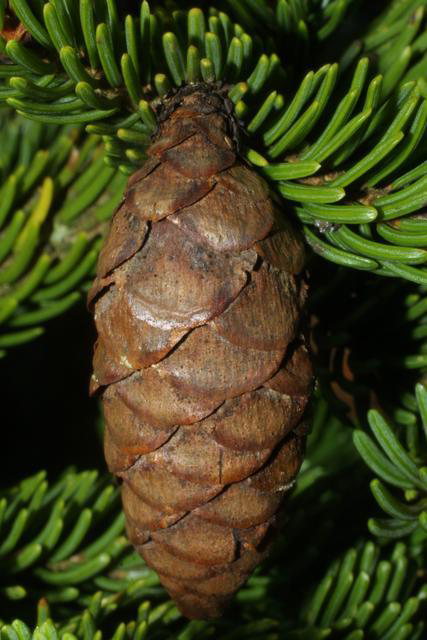 Immature female cones are cooked and consumed. The central portion, when roasted, is sweet and syrupy. Inner bark is dried, ground into a powder and then used as a thickener in soups etc. or added to cereals when making bread. Refreshing tea, rich in vitamin C, can be made from the young shoot tips. Gum exuded from the tree as a result of injury to the sapwood is used for making chewing gum. Wood is used for making paper, for construction lumber, and for musical stringed instruments. 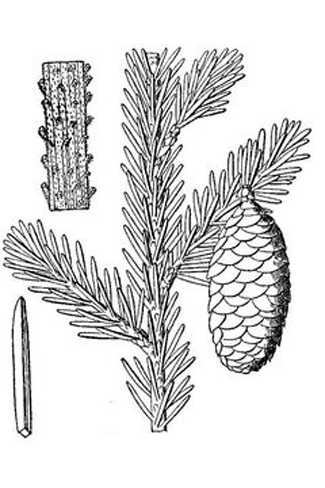 Spruce gum was formerly collected and processed for chewing gum. 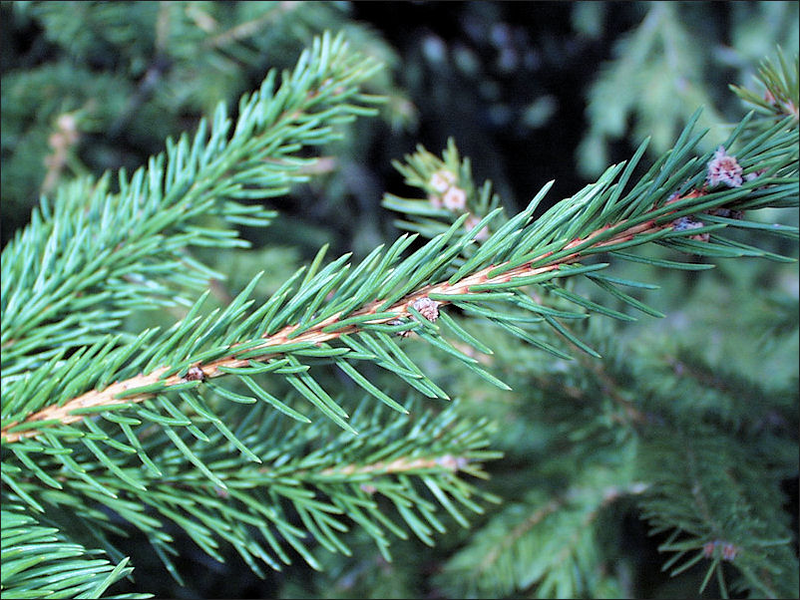 Spruce is used for Christmas trees and is an important wood used in making paper pulp. It is also an excellent tone wood, and is used in many higher-end acoustic guitars and violins as well as musical soundboard. The sap can be used to make spruce gum. It can also be used as construction lumber and is good for millwork and for crates. The bark has been used to make baskets. Pitch can be obtained from the trunk. Roots have been used to make thread for sewing baskets, canoe skins etc. Wood is used for boxes, sash frames etc. It is also valued for its use in the pulp industry to make paper and is commonly used to produce stringed musical instruments. Drink 1/2 cup as needed, use for a wound wash, or prepare as a steam inhalation. Take 10–15 drops as needed. Root Minimum depth of 13 inches (33 centimeters). Foliar buds Reddish brown in color, measuring 0.2 to 0.32 inch (5 – 8 mm), with an acute apex. The sawdust, the resin from the trunk and even the needles can cause dermatitis in some people. Picea rubens f. virgata Fernald & Weath.